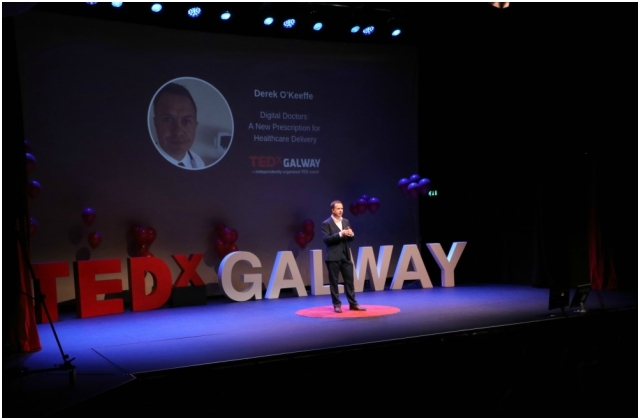 Galway University Hospitals, comprising of University Hospital Galway (UHG) and Merlin Park University Hospital (MPUH), provide a comprehensive range of services to emergency and elective patients on an inpatient, outpatient and day care basis across the two sites. GUH play a leadership role in acute service delivery providing regional services for a wide range of specialities and is also a designated supra regional centre for cancer and cardiac services serving a catchment area in the region of one million people along the West from Donegal to Tipperary North. UHG is a Model 4 hospital providing 24/7 acute surgery, acute medicine, and critical care. GUH is recognised for Higher Medical Training in all specialities. 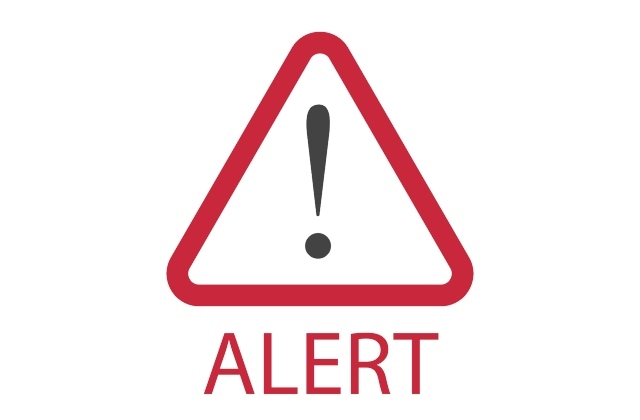 A number of patients who have recently attended University Hospital Galway have notified Management of the hospital that they received a letter by post from an organisation called “The Anglo American Lottery”. This correspondence states that person they are writing to has won a European Hospital Patient Lottery administered by Anglo American Lottery. We have followed up with the patients and the Data Protection Commissioner has been advised and the issue is being investigated. 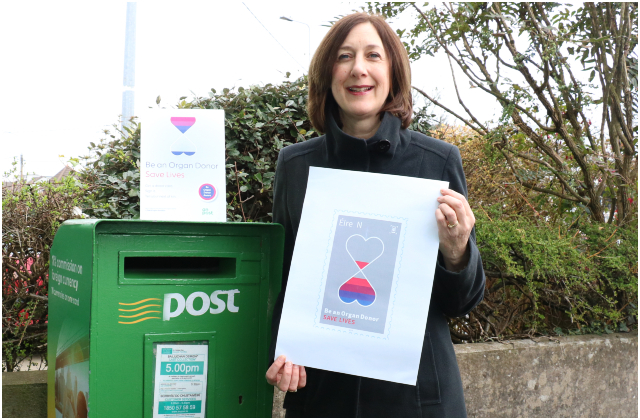 An Post has issued a special national postage stamp highlighting the importance of organ donation to the lives of people living in Ireland ahead of Organ Donation Awareness Week which runs from 30 March to 06 April. The Organ Donors Save Lives stamp will raise awareness of the gift of life that is organ donation with donor cards also available in every Post Office. 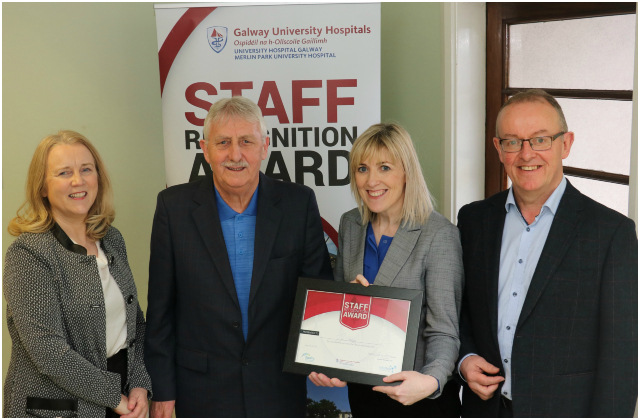 Galway University Hospitals (GUH) is delighted to announce that the second Staff Recognition Award was presented to Joe Kelly who has been providing the regional printing service for the hospital and other HSE services in the West for many years. Joe was presented with his award shortly before his retirement this week after 38 years of service. 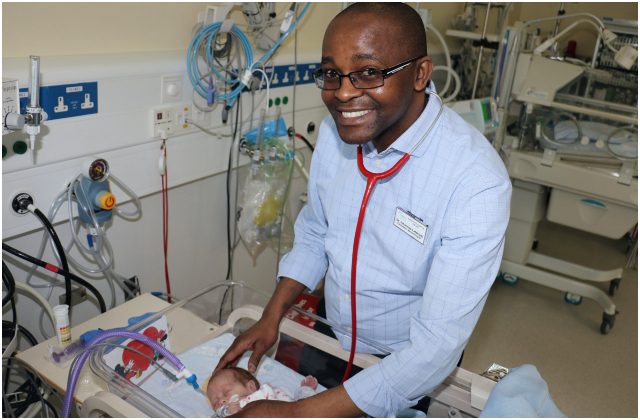 Dr Johannes Buca Letshwiti has recently been appointed as a Consultant Neonatologist at Galway University Hospitals (GUH). For the best value parking rates at University College Hospital Galway, pre-book your parking on-line. This option is suitable for visitors who require flexible tickets to allow multiple entries or exits for a day or week. Click here for more details and to pre-book. The Galway Workhouse on Newcastle Road, on a site in front of and partly occupied by the present University Hospital Galway, included an infirmary intended for sick paupers but which, in practice, became the hospital for the city's poor. The layout conformed with the standardised plan laid down by Wilkinson. At the roadside there was a large cut-stone Entrance Lodge, which contained a Boardroom, clerk’s office, porters’ room, waiting areas and probationary wards for paupers, males on one side, females on the other. Between the Entrance Lodge and the main block were two separate yards, one for boys and one for girls. The main block was in the form of an H. The front and larger limb of the H, parallel to the road, was of three storeys with an attic floor overhead. There was a Master’s House, Matron’s Quarters and children’s rooms in the centre, with dormitories for the paupers in each wing. The old and inform were accommodated on the ground floor with dormitories for active adults in the upper storeys. To the rear of each wing were kitchen, wash-house and privies. The smaller parallel wing of two storeys to the rear contained the infirmary, lying-in ward and wards for idiots and lunatics. The connecting link of only one storey housed the chapel and dining room. There were recreational yards on each side of the connecting link, for men and boys on one side and for women and girls on the other. There were rooms specified for boys on the male side and for girls on the female side. The grounds, about 8 acres in extent, were completely enclosed by high stone walls. Only the hospital section was supplied with beds. Along the walls of dormitories, and raised about 12 inches above the floor, were wooden platforms on which the paupers slept on straw palliases. Blankets were provided and the inmates were required to wear workhouse dress, which consisted of rough gray frieze suits for the men and calico gowns and petticoats for the women. There were no closets in the dormitories and the inmates had to make do with night buckets, which frequently overflowed and soiled the floors. On 2nd March, 1842, the Workhouse opened for the reception of paupers and, on 16th March, Dr. Browne, the Medical Officer, reported that the first pauper, admitted on 3rd March, had died from old age and destitution. The number of inmates gradually increased to 313, including 13 fever cases, by May 1845 and, from the following year, the impact of the Famine on the number of admissions was dramatically evident. The Workhouse was originally intended to hold up to 800 destitute persons but this was subsequently increased to over 1,000. There was strict segregation of the sexes in all parts of the institution, even though that meant breaking up families. All members of a family had to be admitted and, if by any chance the father absconded, the mother and children were likely to be thrown out of the workhouse. Although the regulations forbade the acceptance of children under 3 years of age unaccompanied by a parent, foundlings and young orphans were usually accepted and placed in the care of female pauper inmates. The registration of the religion of such children was a persistent cause of contention. The Law required that they should be baptised in the Church of Ireland, unless they had been baptised outside the workhouse before admission. Father Peter Daly, Catholic Chaplain, was not worried about legal niceties and frequently baptised foundlings admitted to the Workhouse. In December, 1858, one of the Guardians reported him to the Commissioners, citing a case in which Fr. Daly baptised a foundling after its admission and registered it as a Catholic. The Commissioners directed that the child should be registered as a Protestant and the controversy became so heated and vituperative that Fr. Daly was forced to withdraw from the chaplaincy, despite his having the support of the majority of the Guardians. As the name of the institution implies, the inmates, who were fit to do so, were required to work, the able-bodied men worked in the fields or at tasks such as breaking stones, the women did housework, helped in the kitchen or looked after the orphan children or the patients in the infirmary. Even the old and infirm were required to mend clothes, pick oakum or card and spin wool. Girls were supposed to be trained for domestic service but conditions within the workhouse were far different from any they might find in the homes in which they might be placed. A school master and mistress were employed but there were many criticisms of the standard of teaching. The regime in the workhouses was deliberately harsh and intended to discourage people from seeking admission. The diet was not good and unvaried. The Famine began to have an impact on the Galway Workhouse from mid 1846 the number of inmates progressively increased from 460 in June 1846 to 1,302 in November 1847. In December 1847 it was reported that 313 paupers were seeking admission but the Workhouse was already overcrowded. Captain Hilliard, then Assistant Poor Law Commissioner, took over a store in Newtownsmyth to accommodate between 300 and 400 children, though he appreciated that it was far from suitable. There were also auxiliary workhouses at Merchant’s Road and St. Helen’s Street, Galway and Barna. Auxilliay Workhouses for children were established at Parkavera and Dangan in Galway and the Fever Hospital in Moycullen was converted into an Auxiliary Workhouse especially for children. There were Workhouses in the following locations Ballinasloe, Clifden, Galway, Glenamaddy, Gort, Loughrea, Mountbellew, Oughterard, Portumna and Tuam. While the Workhouses offered shelter to the destitute and homeless and undoubtedly saved many from death by starvation and exposure, it must be admitted that they contributed to the death toll from epidemic diseases such as fever, dysentery and cholera.